This eight-program series is an eloquent statement about the Abrahamic Covenant line through the Jewish people. Abraham’s servant ventures out to find a wife for Isaac. Myles interviews Jan Willem van der Hoeven, a Dutch-born student of Corrie Ten Boom and longtime resident of Jerusalem and champion of the Jewish people. Mark Levitt interviews a representative of Bridges for Peace, one of ZLM’s Benevolence Fund recipients. Isaac and Rebekah’s love for each other represents that of Yeshua and the Bride of Christ. Myles interviews Saul Singer, co-author of Start-up Nation; Mark interviews a Jewish National Fund spokesman. Through JNF, ZLM contributors have planted a forest of trees in Israel. The conflict between Ishmael and Isaac precedes the contention between Jacob and Esau. Mark interviews an archaeologist digging near the ancient City of David. Our ministry financially supports the ongoing unearthing of historical biblical treasures. In the face of famine, Isaac re-digs Abraham’s wells, and God confirms His eternal covenant with the Hebrew people. Myles and Katharine interview the Lone Soldiers, remarkable Jewish young adults who leave the comfort of their foreign homes to serve in the Israel Defense Forces (IDF). The struggle of Jacob and Esau over their destinies began in the womb and continues into our day. Mark interviews Our Man in Haifa, Eitan Shishkoff, about Tents of Mercy, his multifaceted ministry that touches many in Israel. Jacob dreams of a heavenly touch, despite Esau’s murderous rage. God’s Covenant continues into the third generation. Illustrating this continuation, Myles and Katharine interview young Israeli Messianic leaders. 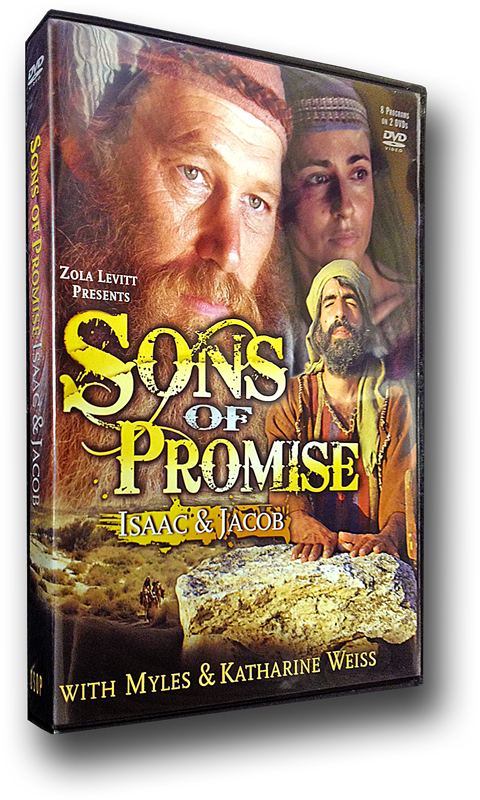 Jacob serves Laban repeatedly to earn his bride, demonstrating the importance of patience and commitment in God’s plan. Mark interviews Dr. Todd Baker, who leads To The Jew First, our Gospel outreach that parallels our pilgrimages to Israel. Jacob wrestles with God, and his transformation provides hope for us all. Myles interviews his own firstborn son, Jonathan, about the blessing of a Yeshua-centered home life.